I disentangled myself from the small car, swinging my backpack over my shoulders while waving goodbye to the two older Estonian ladies who gave me a ride to the Viru Bog trailhead from the too far away bus stop I landed at when the driver ignored my request for the stop before. The women smiled widely, kindly at me and I grabbed comfort in those smiles—not because I was nervous but because they acknowledged me as a young woman, out on my own, telling me how wonderful it was and to be careful and how to find my way back to Tallinn. They drove away and I plodded onto the path. The weeks behind me stretched out full of people, amazing people, people I held close and continue to. But the fact remained: every day I spent with others, every night others slept near. Now I was alone for the whole day, in the woods, and it was a change, is all, a change born from a stubborn curiosity that latches. Lahemaa National Park, I had repeatedly explained, was the first national park of the Soviet Union! It is supposed to be very beautiful. There is a bog with a watchtower over it. 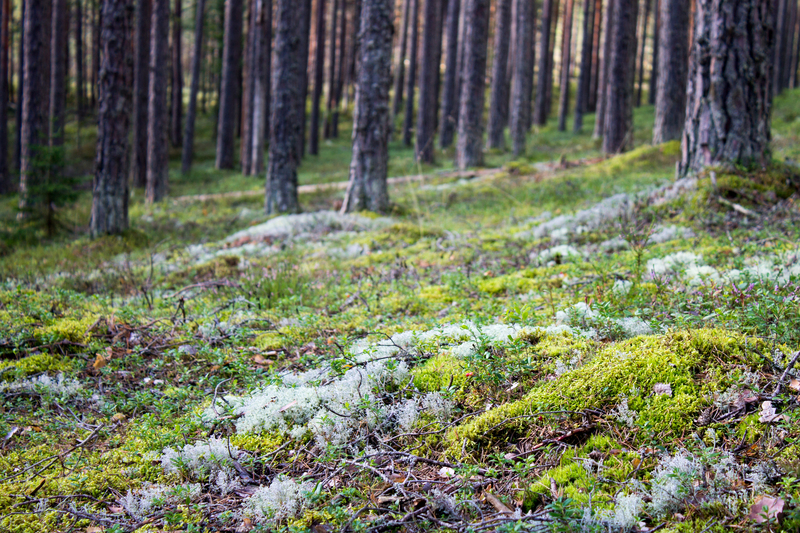 There are trails and campgrounds, and even villages. I’m going there. I had decided while leafing through pages on Estonia. Though my time in the country was still too short, I was determined to see more than last time, and that included some wild places. The soft light filtered its way through the trees. 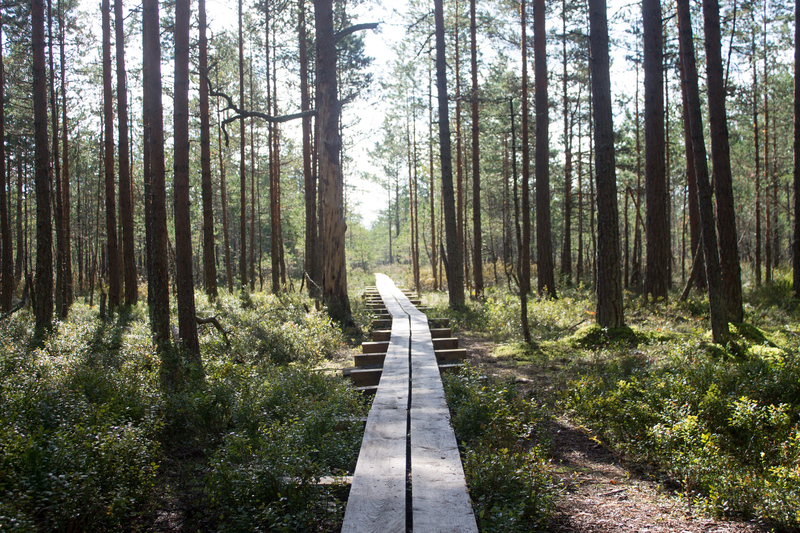 After a couple of minutes of walking and looking around, I came to the elevated wooden pathway that made its way through Viru Bog. This was my little hike. I slowly set out, pondering each step, looking around carefully. I had time. The boardwalk split—I took the shorter way and came to a dead end platform with a bench. I sat and slowly ate some of the karjalanpiirakat I had found much to my delight at the grocery store that morning while getting provisions. Karjalanpiirakat are bliss. I sat there in the larger silence that was punctuated by smaller-scale noise: something created a ripple in the water; I heard a bird. I drank a bit and started walking again. I stopped to take photos, and I stopped to read every sign along the path. There are sundews, one told me. I squatted down at the edge of the board walk, careful not to topple off, and indeed—there were. 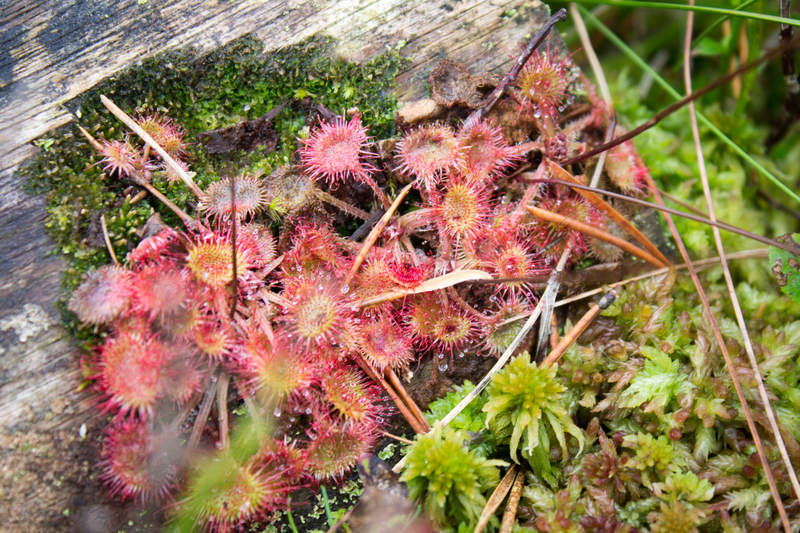 Periodically I would crouch, to peer at these cute little sundews as well as mushrooms and mosses. 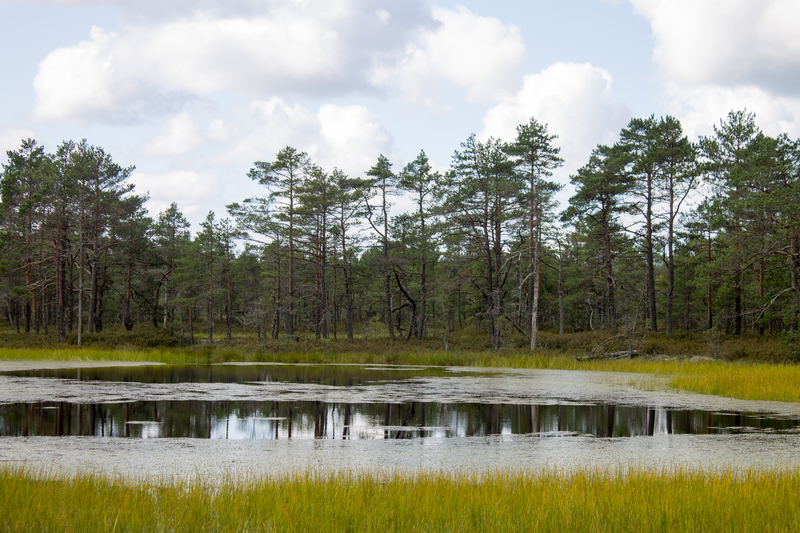 Then I would stand up and take in the larger sights in front of me: trees, yellow grasses, boggy water, sometimes grouped into a pond. The path led to a tower, windy at the top, but which provided a more than adequate view by which I, surrounded, ate the rest of my karjalanpiirakat. The trail ended. I had traversed the bog, but still had plenty of time. So I walked slowly among more trails, realizing that there were blueberries in the woods. I began to pick them, gathering a fistful before smashing them into in my mouth. Over and over. My palm turned purple. I decided then to pick blueberries for my current and upcoming hosts as a gift, something that required more effort than popping into a shop. I ate my second yogurt despite not being hungry, simply so I could use the container. I rinsed with my drinking water, and then began to pick, stooped among the bushes. By now I had migrated off any main park paths, and was in fact on a small trail that led directly off the road to nowhere, ending after just a minute’s walk. I circled around, picking, picking, eating, and before I expected, my containers were full. It was time to go back. I was done, and I wanted to be back in Tallinn before dark. No bus stop presented itself to me so I ambled up to a women changing shoes by her car. “Do you speak English?” “No…” “По-русски?” “Да!” And thus, in Russian, I asked her about the bus. She wasn’t sure because she came by car, but she asked the two men she was with if they could give me a ride. Sure, they agreed. So I climbed in with Vera, her husband, Andrei, and “grandpa,” Georg. My Russian-speaking American self charmed them right away, especially when I explained I knew about United World Colleges and that, in fact, I knew an Estonian who went to one. Their son had too, and he was now studying at a liberal arts college in the U.S. Dmitri endlessly told me I should be a politician, since I could speak Russian. They asked me all sorts of questions about my travels and about education in the States. Instead of dropping me off at a bus stop near where they lived at the outskirts of Tallinn as they had originally agreed, they went ahead and drove me right to the old town, near where I was staying. I felt a little sad to wave goodbye. What a beautiful day out in the wild! And finding a connection with locals always feels good! I love your voice in this story. I felt like I was walking with you, not just because I saw it but because I felt it too. Thank you so much! I’m glad you felt that! I love the way you write – it felt like I was there with you. I’ve recently returned from Riga and I loved the city (many people were catching buses to Tallinn but I only had a few spare days!) …but you’re right; it’s good to get out and see the countryside. Thanks, Rachel! I hope you enjoyed Riga! Looking forward to hearing more about it. And yeah, even though the Baltic countries are so small, I feel like it is still hard to fit in all of the places I want to go to. The bogs of Estonia are pure magic. Your experience is similar to mine in Soomaa Bog. 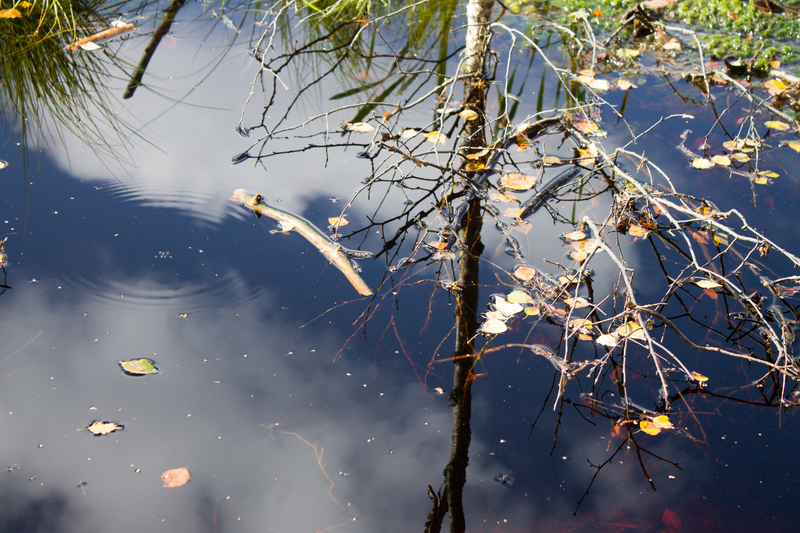 There’s something about a bog that makes you feel all alone. It’s an unnerving feeling. Yes, definitely. 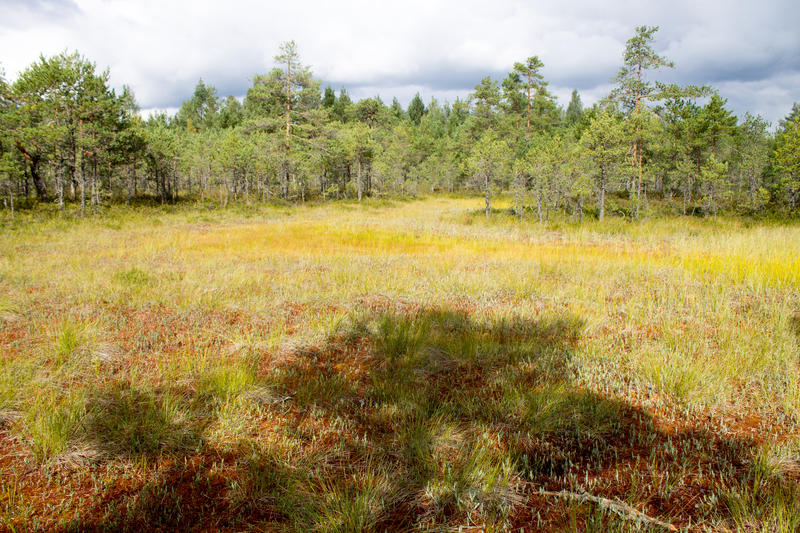 To visit these bogs you have to be prepared to spend some time with yourself.